OFFERS DUE BY 5 P.M. FRIDAY 4/19. 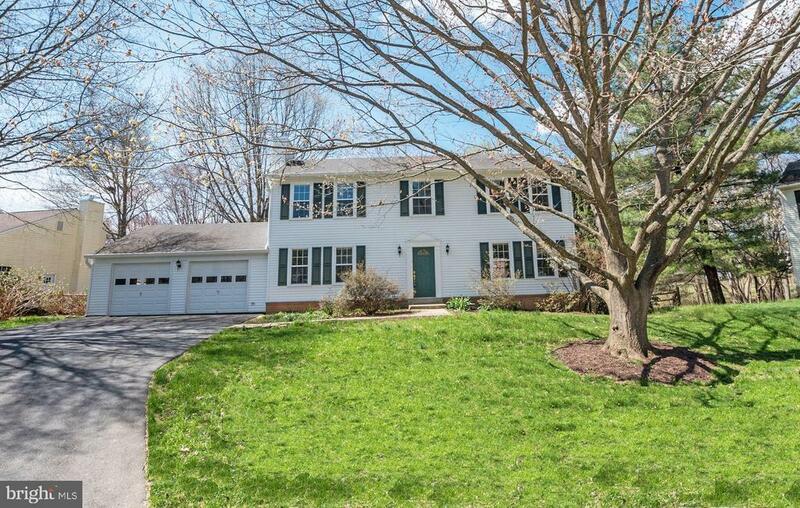 TERRIFIC CUL-DE-SAC COLONIAL BACKING TO TREES/WOODS JUST A SHORT WALK T0 STONEGATE ES & STONEGATE SWIM CLUB! BEAUTIFULLY REFINISHED HARDWOODS THROUGHOUT ENTIRE MAIN LEVEL INCLUDING LR, DR, KITCHEN & FAMILY ROOM! UPDATED EAT-IN KITCHEN WITH GRANITE & STAINLESS STEEL WALKS OUT TO SCREENED PORCH OVERLOOKING PRIVATE YARD. FOUR TOP LEVEL BRS INCLUDING MBR WITH WALK-IN CLOSET AND FULL BATH. UNFINISHED LOWER LEVEL WITH LEVEL WALK-OUT READY FOR YOUR FINISHING TOUCHES. TWO-CAR GARAGE AND GREAT PRIVATE SETTING. THIS ONE IS A REAL VALUE - DONT MISS IT!